In this video, we show you how to transfer your settings to a new version of Composer Tools Pro. Check the Changelog below to determine if you can do a simple User folder transfer, or if you need to use the Update Utility. Composer Tools Pro comes with an Upgrade Service that will copy your settings from Composer Tools 1. If you have any objects in the Thumb-Key or User Areas, you will need to manually transfer them. Also, please note that the recall method has changed. See below for more information. All MIDI Kinetics controllers are designed using the Flat Lemur skin. It offers the most consistent user experience. You can set the Lemur skin in Lemur’s More Settings page. There are no special instructions for installing Composer Tools Pro into Lemur. Just sync it to your tablet. 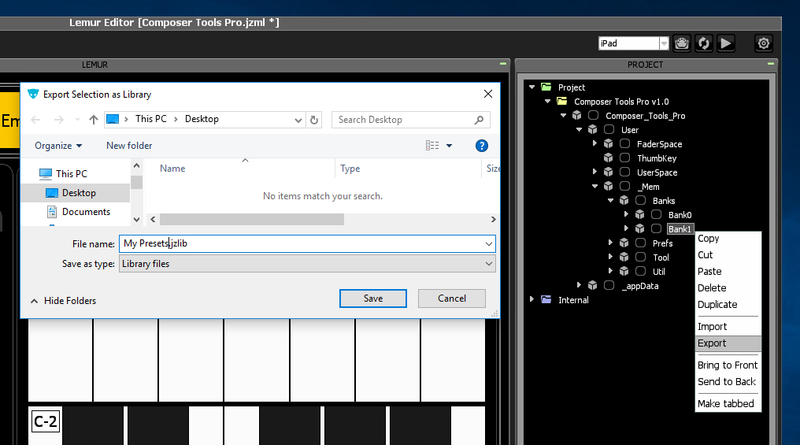 Don’t forget to set the Lemur targets for Composer Tools Pro and MK Connect. 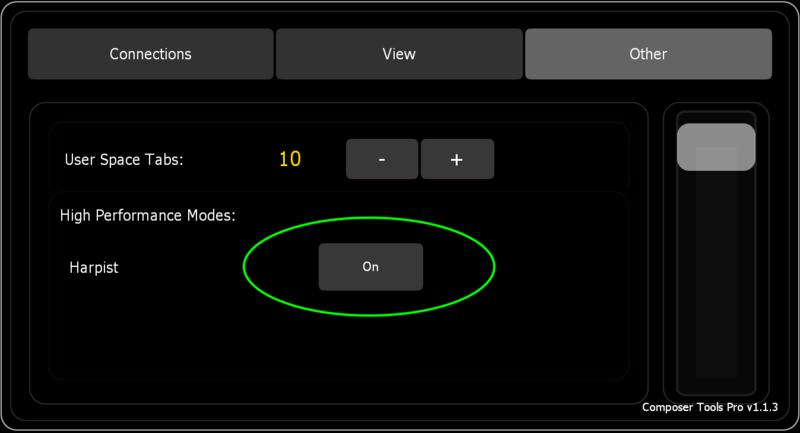 The Recall feature allows you to instantly recall a preset’s settings– directly from your DAW. It’s very easy to set up. Watch the short intro video to learn the basics, then continue below with the instructions for your DAW. MKRecallTrigger ships as a single zip file containing both macOS and Windows versions. Log into your account at midikinetics.com, download MKRecallTrigger, extract the contents, and locate the version for your operating system. Drag the plugin into your VST3 plugins folder. On first launch you will be required to authorize the plugin with your Composer Tools Pro registered email and license key. If MKRecallTrigger doesn’t appear as as an option in the Generic Remote, make sure you have selected a track in your project window that contains an instance of it. Try to re-select to the “Trigger” action in the generic remote. It could be that the remote can’t find the plugin and needs to be updated. The auto-recall feature automatically triggers recall whenever you click on a track. No need to press the Recall button! In your Composer Tools Pro download folder, locate the CTPro Auto-Recall Generic Remote in Supporting Files/Cubase. Click on the plus button at the top left and add one new Generic Remote. At the top right, click import and bring in the CTPro Auto-Recall Generic Remote. 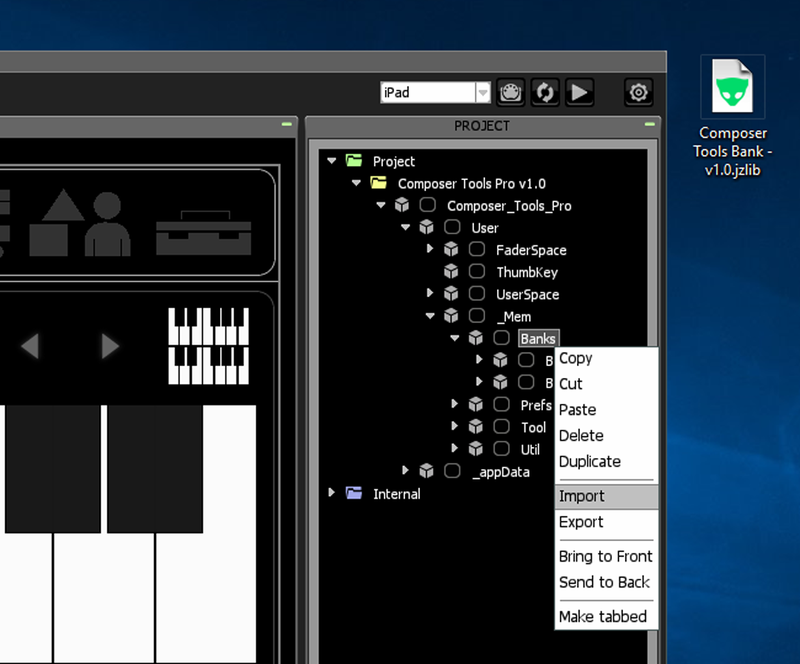 Set the MIDI output to Composer Tools Pro’s input. Do not set a MIDI input. It works in a very simple way. Whenever you click on a track in Cubase the Generic Remote sends out Controller #126. 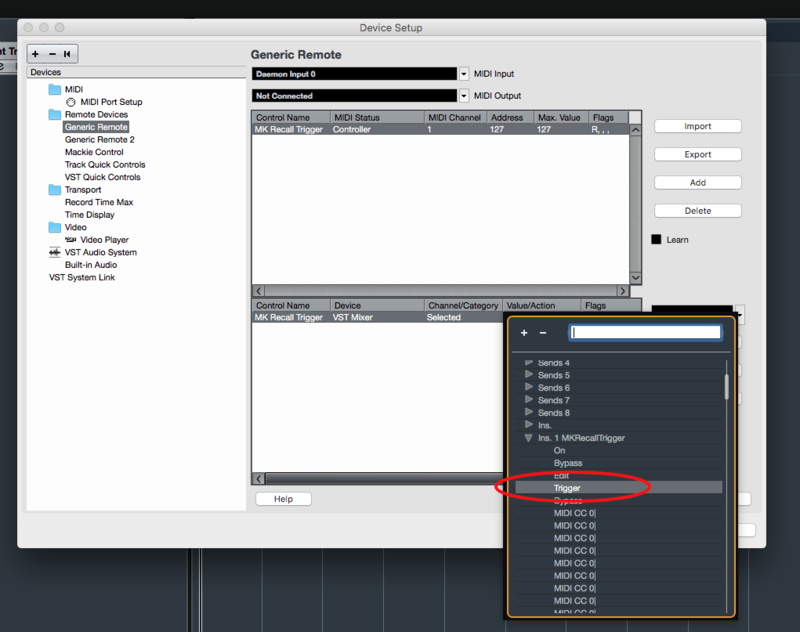 When Composer Tools Pro receives Controller #126, it instantly sends back out Controller #127, which triggers recall. In Composer Tools Pro prefs you can turn off Auto-Recall and change the input CC# by going to Prefs/Recall. If you change the Recall CC, don’t forget to also change it in the Generic Remote. MKRecallSend ships as a single zip file containing multiple versions of the plugin. Digital Performer uses the VST2 version of the plugin. Log into your account at midikinetics.com, download MKRecallSend, and extract the contents. Drag the plugin into your VST plugins folder. The exact location of your plugins folder may vary on your system. Please consult your DAW’s user guide. Pro Tools uses the AAX version of the plugin. Drag the plugin into your AAX plugins folder. Please refer to the Composer Tools Pro Walkthrough video. You can find quick links in the Youtube description. If necessary, additional topics will be added to this online Knowledgebase. The Harpist module for the MIDI Toolbox provides the ability to play real-time swipeable harp glissandos. It’s a lot of fun to play! But with such high note-on/note-off density, you may experience dropped notes or strange midi jittering effects. This is one module that definitely benefits from a fast tablet and a hardware MIDI connection such as an iConnectMIDI. If you have an old tablet, go to Prefs and turn on the High Performance Mode for the Harpist. This mode hides all unnecessary graphics while the harp is being played, and should massively increase performance. Memory banks are located in User/_Mem/Banks. Each bank can hold 256 presets. Composer Tools Pro comes with an empty memory bank file called CTPro Memory Bank.jzlib. To add more memory banks, right-click on the Banks container and import this file. This is also how you import presets downloaded from the User Library. Remember that Lemur has a limited amount of memory. Never install more memory banks than you need: it wastes Lemur memory and may slow down older iPads. To export your presets so that they can be backed up or shared with the community, right-click on the bank you want to share and choose export. There is currently a bug in the Lemur Editor that may cause the Lemur Editor to crash when deleting multiple banks. This has been reported to Liine. Save often while doing memory management. Composer Tools’ Pulse section can receive MIDI clock from your DAW using Lemur’s built-in MIDI Clock functionality. 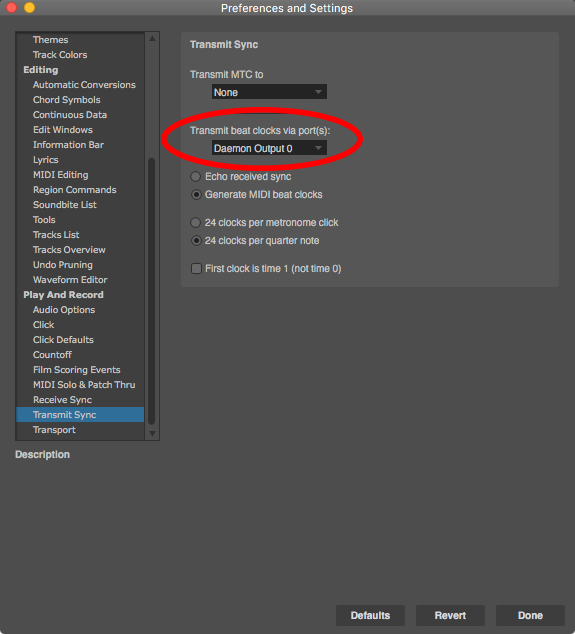 Enable “Slave Clocks to MIDI” in Lemur’s More Settings page, then proceed with the instructions for your DAW. 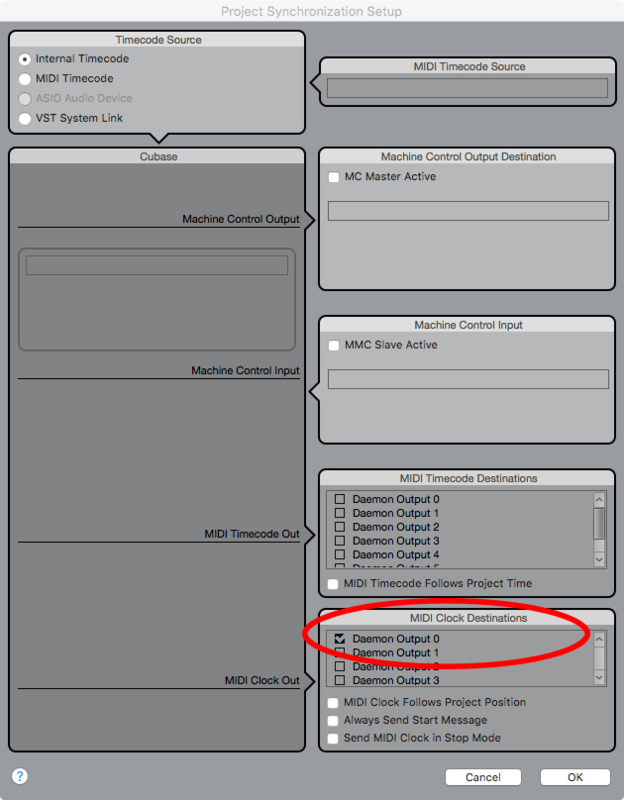 Cubase’s MIDI clock settings are found in Transport: Project Synchronization Setup. Send the MIDI Clock Destination to Composer Tools Pro. 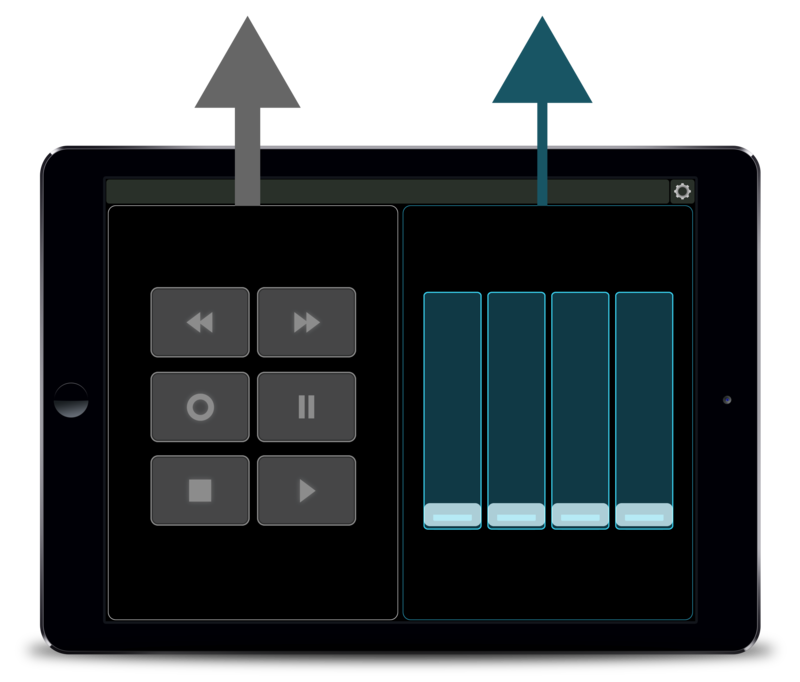 Logic’s MIDI clock settings are found in the MIDI tab of Fie: Project: Synchronization. Send one of the destinations to Composer Tools Pro. 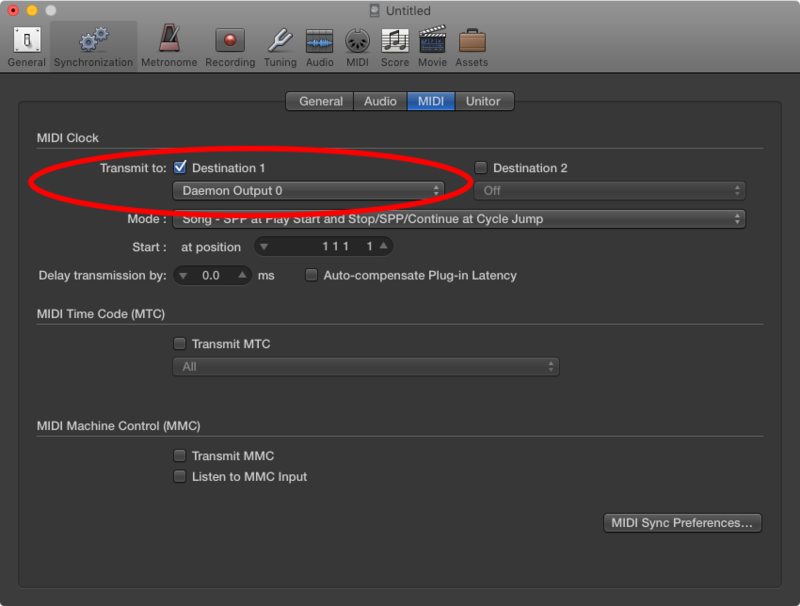 DP’s MIDI clock settings are found in Preferences: Transmit Sync. 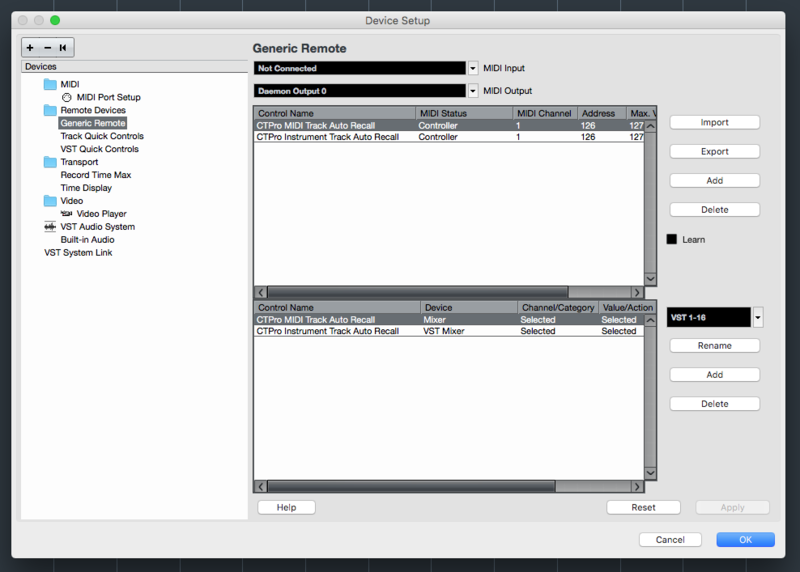 Set Transmit beat clock via port(s) to Composer Tools Pro. 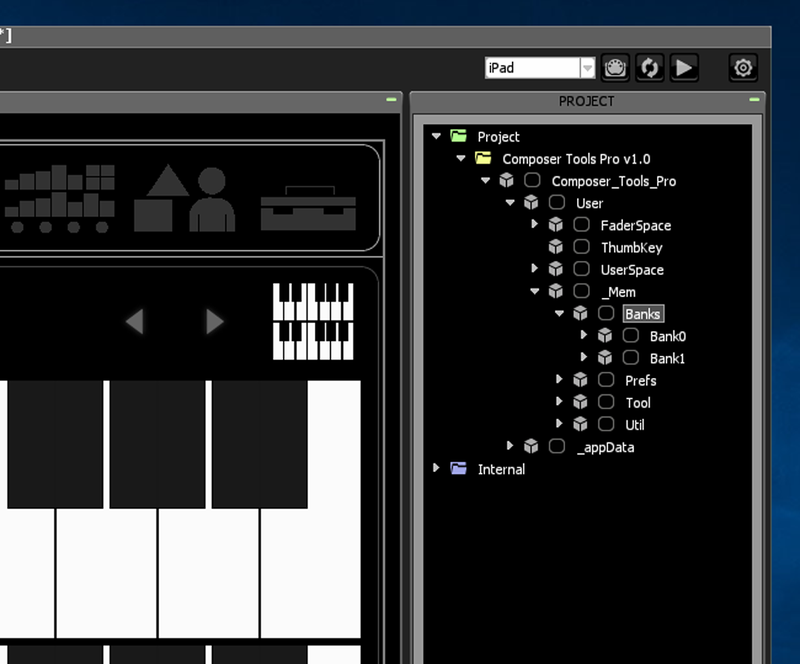 What happened to the Divisi Module from Composer Tools 1? The Divisi module will be moved to MK Connect. This will massively reduce latency. Initial tests estimate that latency will be < 1ms! You can still continue to use the Divisi module alongside Composer Tools Pro. How much memory does each bank of presets use? – Fixed bug which prevented the MKConnect MIDI Target from being changed. – Add support for MKRecallTrigger v1.1. – Add support for MK Recall Trigger. – Fixed bug which caused the User Spaces to be hidden. – Added Cubase auto-recall on track selection. – Reduced project memory usage by 1%. – Added auto-assign to next available Recall message. – Added the ability to set the global MIDI output channel. Note: Utility Buttons and Universal Faders still go out their custom assigned channel. – Added a menu to the Send Defaults button which enables the option choose which controller types will send their default values. Hold the Send Defaults button to reveal the menu. – Character limit on preset titles increased. – Custom note messages can now be set to fixed/live velocities. – Legacy Recall Mode for backwards compatibility. – All Recall settings are now on a separate pane in Prefs. – Added Piano Key “Exclusive” mode to support Expression Map Converter. – Fixed potential freezing up of Harpist module. – Added High Performance Mode for Harpist. – Added Harpist module to the MIDI Toolbox. – Project Memory Requirements increased by 1% to 35%. – Fixed preset titles not redrawing immediately when preset is loaded. – Fixed certain recall addresses not recalling properly. – Fixed Mac Lemur Editor crash when deleting the User folder. – Moved the ThumbKey, Fader Space, and User Space to a new container called Custom_Areas, which allows for easier transfer between versions, and provides a common, localized namespace for putting custom variables and scripts. – Created an Update Utility to transfer settings between versions. – Memory Bank updated to v1.1.0. – CT1 – CTPro Upgrade Service updated to v1.1.0. – Project memory requirements increased by 1% to 34%. – Fixed note names displaying incorrectly.